When we talk about mobile OS stats, the focus invariably goes to Android and iOS, the two mobile platforms that have crushed everything else between them. Microsoft has been playing catch-up for quite a few years now, and while it certainly looks like Windows Mobile (formerly Windows Phone, formerly Windows Mobile) faces an uphill battle against its rivals, there can be no denying that Microsoft is enjoing some success in certain parts around the world. According to a fresh report from market research firm Kantar, Microsoft is now the third largest smartphone manufacturer in Europe's Big 5 countries, the UK, Germany, Italy, France, and Spain. Kantar's report shows the aggregated market situation in these five countries during the three months ending August 2015. Although it has lost 2.9 market share points compared to the year-ago period, Samsung still dominates these markets with a 39% share of the pie. Apple rose 2.5 points thanks to the immense commercial success of the iPhone 6 series and remains in second place with a market share of 16.2%. What's interesting to note, however, is Microsoft's position, now the third largest smartphone maker in Europe's top 5 markets, with a 10.6% share of all smartphone sales. A year ago, Sony held the third place with 10.6% of all smartphone sales in these markets but is now relegated to the fourth spot in the rankings with a market share of 7.1%. Looking further down the chart, we can observe that smartphone makers that are considered very popular in Europe, such as LG, Motorola, and Huawei, have managed to sell considerably fewer smartphones. In fact, the recent Kantar report reveals that Microsoft has sold more smartphones in these markets than Motorola, HTC, and LG combined. Sure, Microsoft's success is almost exclusively attributed to low-cost smartphones, a segment of the market where Windows does well but fails to bring in significant profits for the company, but that's still an accomplishment for Microsoft. With the newly unveiled Lumia 950, Lumia 950 XL, and Lumia 540 ready to hit Europe's Big 5 countries, and with Windows 10 Mobile coming to older Lumia phones in December, Microsoft's market situation in this part of the world doesn't seem all that bleak. What's your take on this? That's the thing, outside of Samsung Android is not selling at super high levels. That's misleading. There are tons of companies that sell Android phones, so of course each gets a smaller share. The same would happen to Windows Phone if it had 30 OEMs making WP phones. Samsung didnt start out like this with Android tho. The biggest sellers used to be HTC and Moto. Sammy opened their playbook and the rest is history. WP should really deserve the #2 position, or BB OS (if not cancelled). They're one of the few mobile OS's that can influence Android to/and improve. Ask any of the armchair analysts on this site, being third just means you're the biggest loser on the mouth breather bus. They're the same people who think Sony is winning the console war even though the only profitable division in that company is it's imaging business. I really think Microsoft has a good thing going finally. No question they are at a huge disadvantage with their App Store and lack of users since they were so late to the game, BUT their OS is smooth and they are FINALLY leveraging Windows 10 with continuum. I like that they, like Apple, now own both the software and hardware side of their phones. They can control quality from the silicone level on up. They will continue to gain market share, albeit slowly. Agreed, but I don't think slowly, I think they'll chip away at Sammy's share, though they'll likely still be in 3rd place a year from now. I guess Europeans are less susceptible to marketing. In all honesty, I would buy a Windows Phone device over anything Moto G and below on the Android side. WP just performs a lot better in the mid range and low end category. High end I would go Android every time though. There is no reason to spend huge amount on any windows flagship. I just got a windows tablet in dirt cheap price to test windows 10 and practically I can say that, windows OS doesnt worth spending money due to the lack of apps. Windows is great on its own, but thats that about it. It is nearly useless without apps. Lumia 950/950XL doesnt deserve wastage of 600$. Price should not be more than 399$. However, when microsoft will be able to port all android and ois apps on windows then they will deserve to ask even 799$. Unfortunately the majority of Microsoft devices sold are the cheapest ones. They're good options for budget devices, for mid-range and high-end they're not that impressive. Bravo MS, the carriers hold them back in the US, elsewhere in the world they are appreciated and sought after. They are thumbing their nose at the US carriers and rightly so. They will stay with AT@T who have always given them a fair go and their own shop frontages and expand the market share outside the US. seriously. I can't stand Verizon. Having a smooth running, affordable device may mean those buyers won't leave that OS either. You are assuming these buyers of lesser priced Windows Phones are not enjoying it. I do not think that is true, as users of lesser priced devices are not huge app users but are those who use it for communication and internet. They may indeed become loyal MS OS users. In Europe most businesses are moving from iPhone to windows phone. absolutely not, every business I see is switching to iOS when it can afford it, oterwise android. But I haven't seen anyone making the switch to windows Phone. Once again, I would like to stress, we need Microsoft in the game, we desperately need them. See, we can't be confined to merely two software brands, highly premium Apple(iOS) and highly free, unsecured, light and whatever you say Android. We need a clean, multibrand, feature rich and safe third option i.e, Windows. p.s. I'm an Android user and I absolutely love it. I agree we need them but they need to bring something forward that directly competes with Samsung and Apple, they haven't done that. Their new devices just mirror every other Android device on the market and quite frankly they look boring Software wise Windows for mobile is great, it's a shame we don't have more manufacturers and developers supporting them. Microsoft is still living off Nokia inertia. Nokia had an extremely strong brand in Europe, and I think it was only very recently that they started taking off the Nokia brand off the phones. They still have great carrier relationship as well thanks to Nokia, even if 99% of Nokia's employees have been fired by Microsoft. Also, the vast majority of the phones sold are the low-end 520's and such, which makes it easier to sell more units. I certainly wouldn't say anything like "Microsoft is almost as strong as Apple" in those countries, because it would be disingenuous at best. This was my thought exactly. There's a ton of brand loyalty to Nokia, and even without the Nokia name, MS carries their hardware legacy. 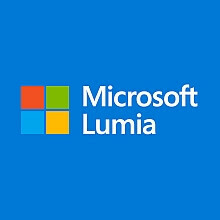 Lumia is a known quantity, and they'd be foolish to drop it, even if it's not MS's long term solution.